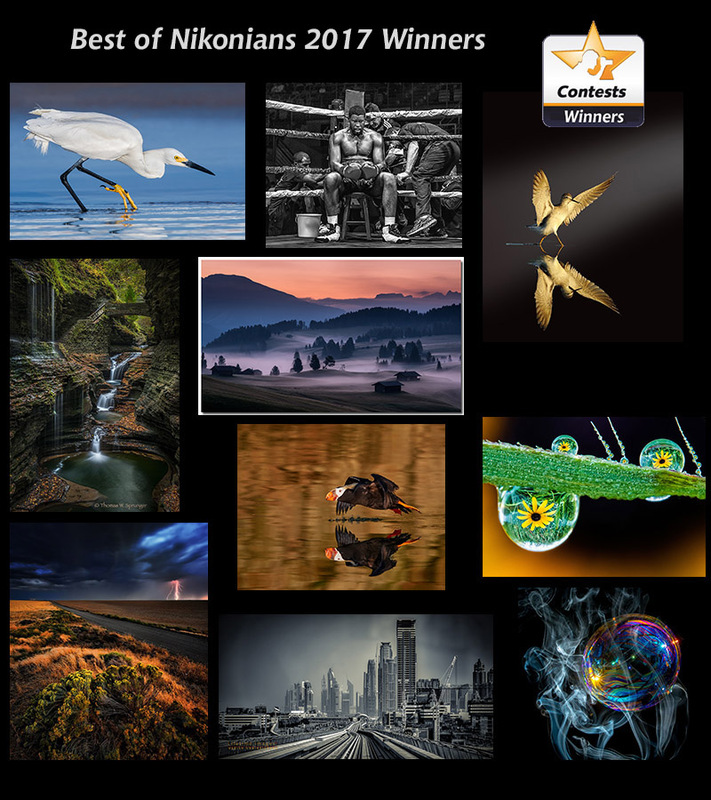 Nikonians is proud to announce the Winners of the Best of Nikonians 2017 Annual Photo Contest. The quality of the images submitted this year has been better than ever. We are extremely proud of the level of photographic accomplishment of our membership. An international team of Judges, from eight countries, were drawn from the Nikonians Master's Society to grade the ninety five finalist images. Please stop by to congratulate the winners.